In the Traveling screen, click the add button (+). 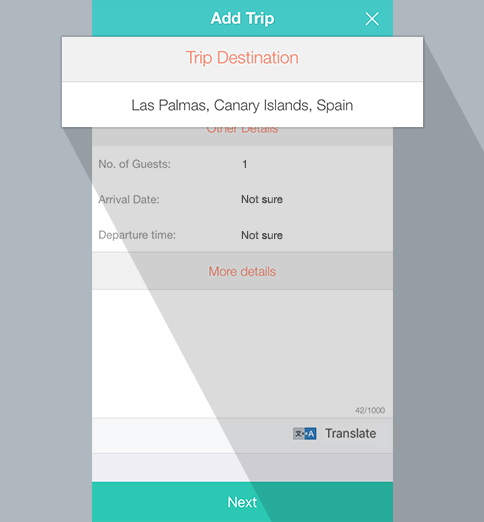 In the Add Trip screen, choose a destination in which you want to travel to. 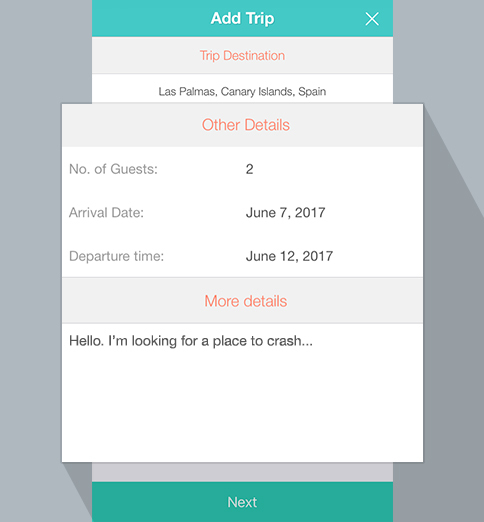 In the Add Trip screen, fill in details such as required services, the number of travelers, the arrival date, the duration of stay, your expectation and message to the host. 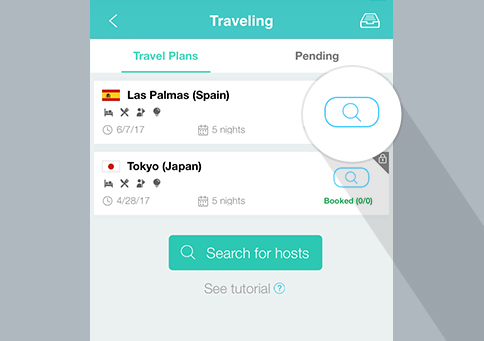 After saving and submitting successfully, hosts can see your fascinating travel plan through filter by condition, and choose to host you. 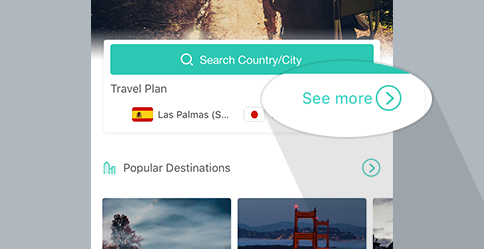 View Travel Plan results using the one-click search function. 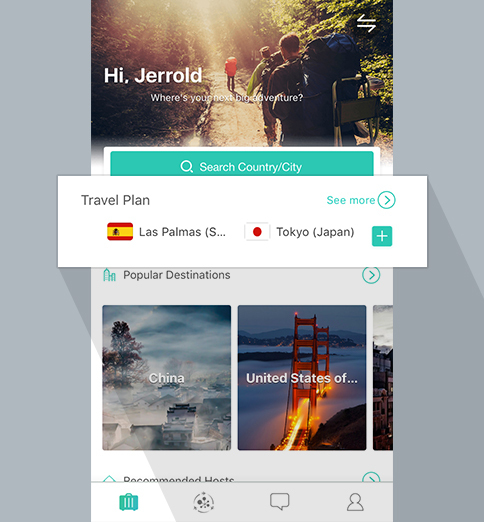 After sending out a travel plan successfully, available match results can be viewed in the Travel Plans screen. 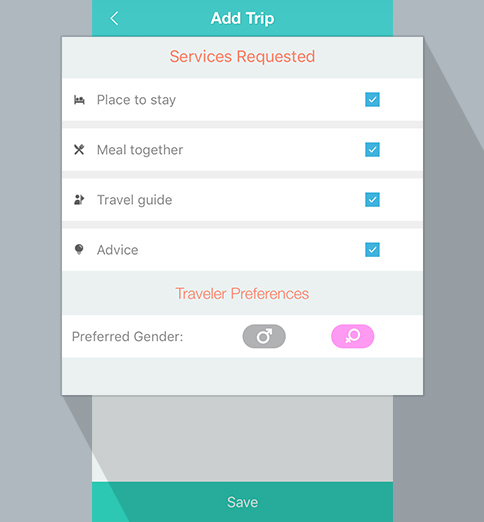 Tap directly on your travel plan. 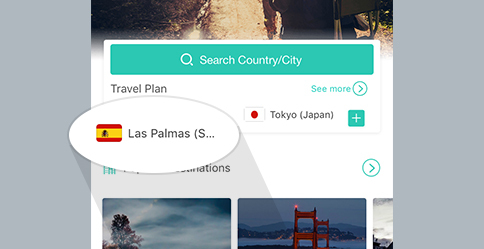 See results matching your travel plan (to narrow search results, use the filter function on the right). 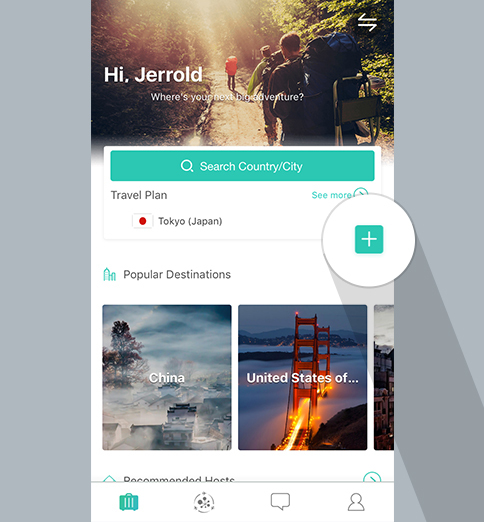 Tap on “see more” to see all your travel plans. Select one and click on search button on the right. Polite and honest communication is the first step in interpersonal relationship! 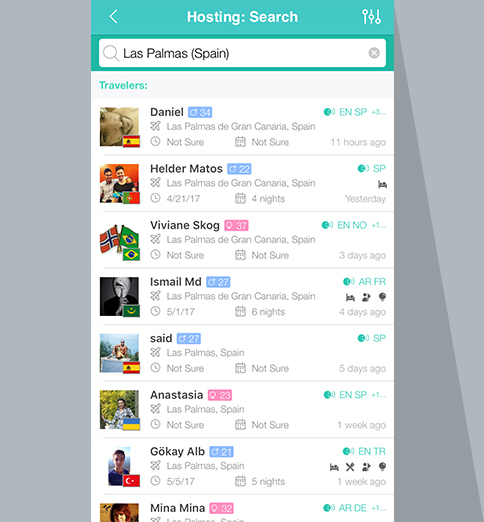 Sincere comments and requests will allow you to receive invitations from more hosts. 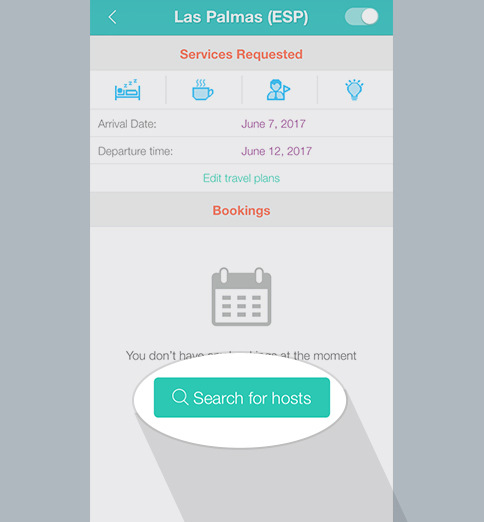 If your travel plan has ended or found a suitable host, close it in the Travel Plans screen and so you won’t be bothered by hosts again.